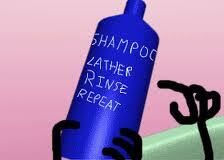 Have you ever closely looked at your shampoo bottle? I recently looked at mine and noticed it came with directions for use. The directions said “Lather, rinse and repeat”. These directions made me chuckle because I have seen many testers use the “lather, rinse and repeat” technique when testing. Albert Einstein once said “Insanity is doing the same thing over and over again and expecting different results”. This insanity also applies to test execution. Organizations who instruct their testers to run the same suite of test cases over and over again, release after release should not expect to find different results. Sure, sometimes we do, such as in the case where a code change caused something to break. However, discovering new issues lurking in our software that have existed for sometime will not likely be discovered in this fashion. If they could, they would have already been found on one of the many previous cycles of execution. That’s why each time we approach testing, we need to change our behaviour and interaction with the system. You may need to test the same areas in the same fashion but challenge yourself to come up with new approaches to see how you could test these same areas differently. What different approach, steps, method, etc could you use that you have not used before. Most importantly, have fun when trying new approaches. Enjoy changing up your testing and the discovery of new information about yourself and your system. Not only will you appreciate the break from the monotony, you will also significantly reduce the risk of driving yourself insane!